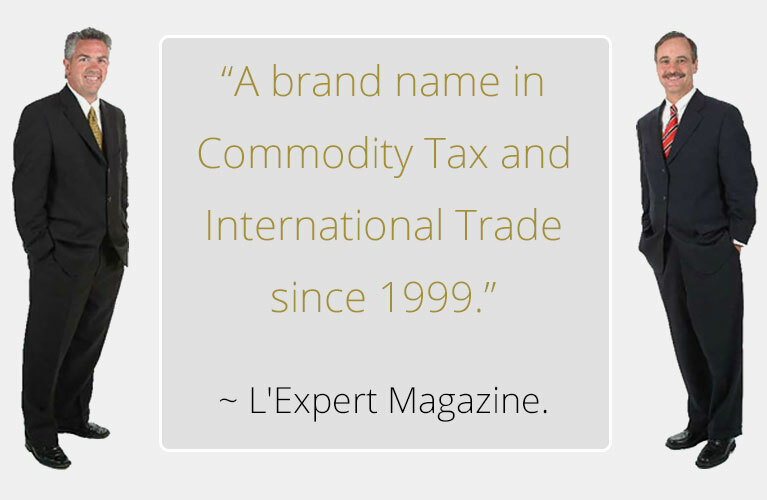 We are a super-boutique Canadian tax and trade law firm, with litigation and planning expertise in tax, trade, GST/HST and customs matters. Our client base is comprised of national and international leaders in almost every industry sector who have come to rely on us for the specific and cost-effective litigation services and advice that we can provide. When matters cannot be resolved with the governmental authorities to our clients’ satisfaction, we represent them in tax and trade litigation before all relevant courts, and at all levels of court, including before the Tax Court of Canada, the Canadian International Trade Tribunal, the Federal Court and Federal Court of Appeal, and the Supreme Court of Canada. Our tax practice includes a focus on Canada’s GST/HST system, which is a multi-level, value-added taxing system, imposed under Canada's Excise Tax Act (the ETA), and administered by the Canada Revenue Agency (the CRA). The GST applies at a 5% rate federally, and the HST applies an additional provincial component by province, resulting in GST/HST rates ranging from 5% to 15% nationally. Our Customs and Trade practice focuses on all Canadian issues affecting the movement of goods to and from Canada, including tariff classification, origin, valuation, marking, seizures and ascertained forfeitures, and export controls. Our trade practice also includes assisting clients on NAFTA, and Anti-Dumping & Countervail (SIMA) matters, and much much more. Our firm has a special focus on direct selling companies. Our firm is truly a “one stop shop” for direct sellers looking to expand into the Canadian marketplace. From tax structuring assistance to help with incorporation, to compliance with Canada’s anti-pyramid laws and provincial consumer protection licensing, we have assisted hundreds of direct selling companies in the Canadian marketplace with their legal compliance, including four of the last six DSA Rising Star Award winners! MK LLP listed in L'Expert's Top 500 Canadian Lawyers - For 21st Year in a Row!